Description: When it comes to videos from Giga Web Studios, you know it's going to be action packed (as in fighting) and full of strange super hero costumes. 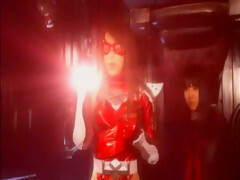 Ellis Nakayama plays an 18 yr old girl called 'Splendid Girl' with superhuman ability (due to a mutation), and the evil Dr. Fortune is after the secret to her super powers. 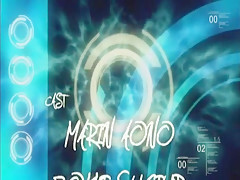 When Ellis's close friend Kosaka (Played by Marin Aono) gets captured by Dr. Fortune, a trap is setup to lure in Ellis so that her mutation powers will be learnt and her powers restraint. Part C download of this video are the behind the scenes footage of the making of this video.